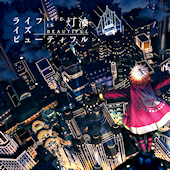 New album from male utaite, Touyu. Bonus items include a cell phone strap, poster, and clear file. Retailer-exclusive bonuses include bonus CDs, bromides, and can badges. The official website is up, but there’s not much there yet.